Every wise business owner knows that an optimized network experience can create a huge impact on a company’s productivity. Because of this, businessmen all over the world started to turn to accredited fiber optic technicians to install a fiber-optic network in their respective workplaces. During these fiber optic installations, the need to connect cables to one another can arise anytime. That’s why it’s convenient to hire Fiber Optic Association Cebu certified fiber optic technicians that are knowledgeable and skilled in fiber optic splicing. With this kind of skillset, technicians gain the ability to connect two fiber optic cables permanently without problems. As mentioned earlier, fiber optic splicing is a method used by fiber optic technicians to join two separate fiber optic cables together. Through splicing, technicians gain the capacity to extend the length of the cables they use for the required run. Furthermore, it is also used by experts to restore severed fiber optic cables that are buried underground. There are two fiber optic splicing methods that are prevalently used in the business world at present—mechanical splicing and fusion splicing. Before business owners should move forward in their fiber optic installation efforts, it is crucial for them to have a thorough understanding of these two common methods. By doing this, they will be able to assess which technique will work best for their companies and improve their business performance accordingly. This fiber optic splicing method involves the alignment of two fiber optic cables together in a precise manner. In this process, it is necessary for technicians to make use of an alignment device and an index matching gel. Furthermore, it’s also crucial that the gel used in this method is in possession with a similar refractive index while it covers the possible air gaps. By doing this, you will be able to ensure that the light travel from one fiber to another will take place with minimal loss and back reflection. Most often than not, mechanical splicing is utilized to rapidly restore short-haul cables in fiber optic installations. This method commonly used by technicians to temporarily connect cables during installations. Step 1: Prepare your fiber optic cable. Before anything else, it’s essential that you strip the fiber of its protective coatings, jackets, tubes, strength members, etc. In order to perform this method properly, you have to make sure that you strip it properly and neatly. You’ll be able to tell if you did it right if you can see the bare fiber in the portion where the cable was stripped. Step 2: Cleave your fiber optic cable. After preparing your fiber optic cable, the next thing you need to do is to splice your cable using a good fiber cleaver. With this device, technicians will be able to create a small cut on your cables to ensure a mirror-smooth cleaved end. That said, the fiber cleaver is essential when it comes to mechanical splices. There is no heat necessary in order to complete this step. All you have to do is to position the fiber ends together in the mechanical splice unit. The index matching gel used inside the apparatus will then help couple the light in the ends of your fiber optic cable. If you’re using an older apparatus, you will have to use an epoxy instead of an index matching gel to hold the cores together. Once you complete the first three steps, you have to place the fibers in a splice tray and then in a splice closure. Although it’s unnecessary to use heat outside plant closures, it’s essential to seal shrink the tubing carefully. By doing this, you will be able to prevent your cables from experiencing moisture damage. 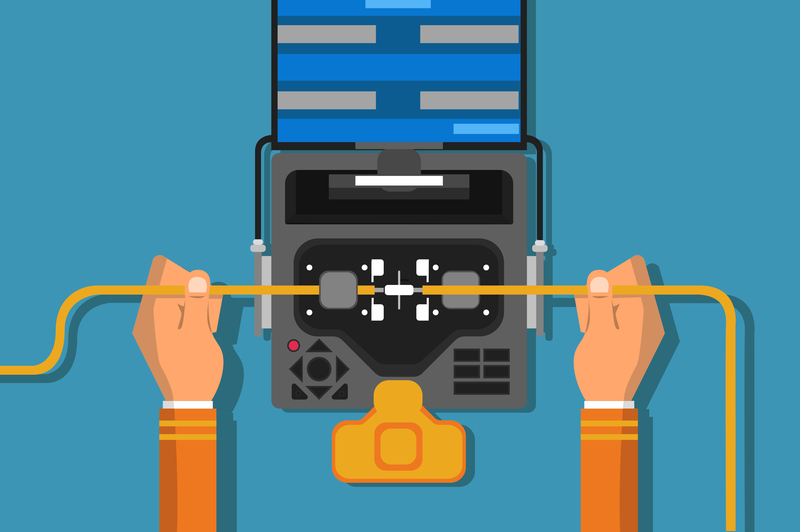 Unlike mechanical splicing, fusion splicing enables the permanent connection of two fiber optic cables. This splicing method utilizes a professional machine to produce heat and precisely fuse glass ends together for continuous transmission of light. With that said, the fusion splicing method enables fiber optic cablings to experience a very low loss of light transmission. Step 1. Prepare the fiber cables. If you want to complete a fusion splice properly, it’s important that you strip an adequate amount of the fiber optic cable jacket. Furthermore, it’s also advisable that you clean each fiber thoroughly before you strip them for splicing. After that, you have to ensure that you clean all the water-blocking materials with the use of cleaners. Step 2: Cleave the fiber with a cleaver. When you cleave your fiber optic cables during fusion splices, it is essential that you ensure that it is done precisely. By doing this, you’ll be able to get the assurance that you will accomplish your fiber cabling’s splicing needs and improve your company’s fiber-optic network. All you have to do is to place the fiber into the apparatus used for fusion splicing, clamp it in place, and then cleave the fiber with the appropriate cleaver. Step 3: Run the splicer program. After cleaving your fiber, the next thing you need to do is to choose a program that will splice your fiber. Through this program, you will be able to see how the fibers are being spliced on the video screen. Other than that, running a splicer program can also help you inspect the cleaves on your fiber ends thoroughly. With that said, you will be able to align fibers using a core alignment method and make sure that the splices are in top shape with a splicing apparatus. Step 4: Evaluate the quality of your splices. If you want to ensure that your splices are good, it’s crucial that you visually inspect the splices you made using the X and Y views after the program has run. Moreover, you also have to take note that it’s okay to find some flaws in the splices as long as it does not affect the optical transmission of your cables. 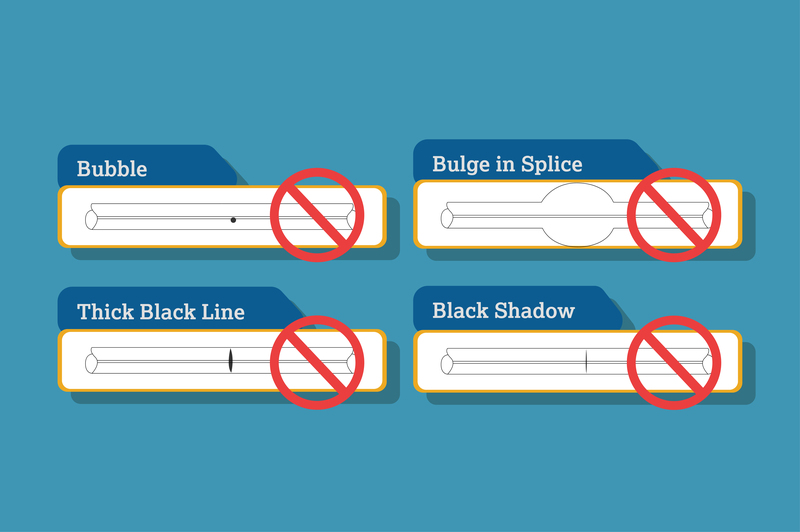 Although it’s true that there are some splicing flaws that are acceptable, there are also some poorly made splices that are required to be remade. It can take the form of black spots, lines, bubbles, etc. 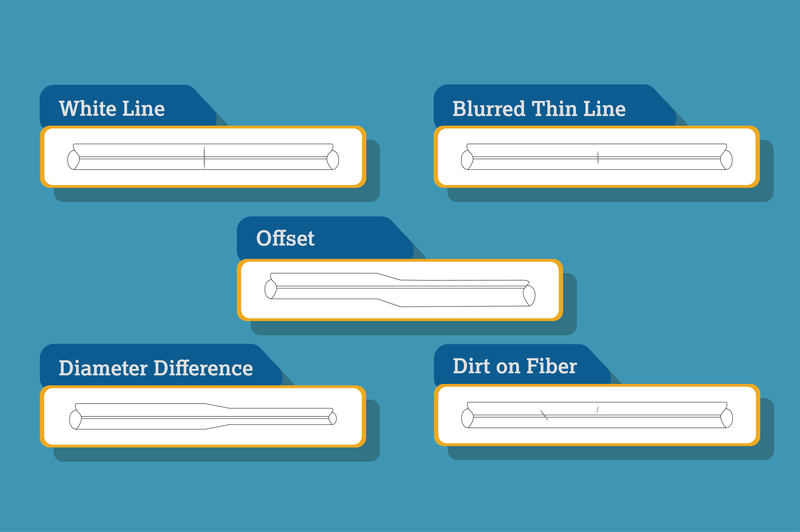 Once you spot them, it’s important that you improve them so that you can optimize your fiber optic network. Furthermore, you have to keep in mind that even when it can be remade to be improved, you should never remake it more than twice to ensure its quality. Step 5: Protect the fiber. Just like how the fiber in mechanical splices is required to be protected, it’s also vital for technicians to protect the fiber cables during a fusion splice. By doing this, you will be able to safeguard your fiber from bending and tensile forces. Apart from that, this can also help you to get the peace of mind that your splices will not break when you’re handling them normally. Regardless of what splicing method you use for your fiber optic cables, it’s fundamental that you learn how to complete better splices. By learning how to create better splices, you will be able to ensure that your corporate network will be enhanced as you install them. Furthermore, this move can also help you pave the way for your company’s success in the business world. Before you splice your fiber optic cables, it is ideal that you ensure the cleanliness of your splicing tools first. By doing this, you will be able to avoid tremendous problems in your fiber optic infrastructure. It may cost you some time and money to maintain your tools, but it will certainly help you go a long way in the future. Aside from cleaning your splicing tools properly, you also have to see to it that you maintain your cleaver carefully. This especially true because of the fact that a cleaver is the most valuable tool you need in order to perform fiber splicing. You can achieve this with ease by following manufacturer instructions on how to maintain and clean your cleaver properly. When it comes to fusion splicing, it’s vital that you adjust your fusion parameters minimally. By doing this, you will be able to change your fusion parameters the way you want it and keep the setting that you desire. In order to achieve this, it’s advisable that you change it one variable at a time until you find the correct fusion parameters for your fiber.